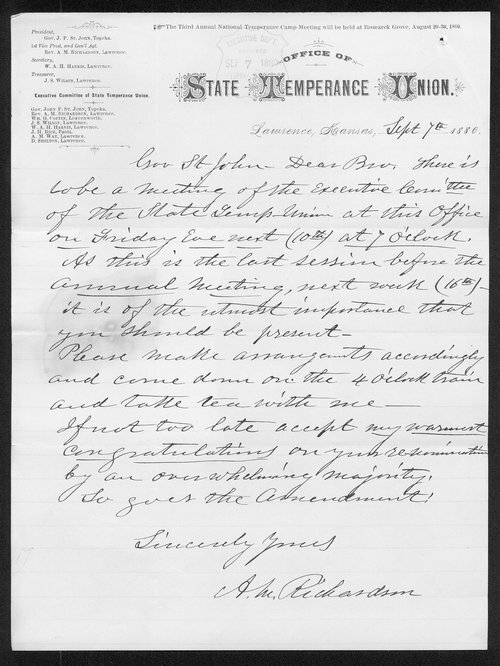 This letter from Pastor Richardson of Lawrence informs Kansas Governor St. John of a temperance union executive meeting to be held September 10th, 1880, and explains the importance of the Governor's attendance. Governor St. John was president of the State Temperance Union and Richardson was 1st vice president. Richardson used State Temperance Union letterhead.